Britain could end homelessness within 10 years with the right measures in place, says a landmark report by the charity Crisis, backed by high-profile figures such as the Archbishop of Canterbury, Dame Louise Casey, and international homelessness experts. Everybody In: How to end homelessness in Great Britain resets the current approach to homelessness and sets out the exact government policies needed to end it for good. It finds that everyone who is homeless could have a stable home within 10 years if the measures are adopted in full. The plan comprises extensive new research, working with experts such as the Chartered Institute of Housing, Heriot-Watt University, National Housing Federation, and PricewaterhouseCoopers LLP (PwC). It has also been endorsed by experts in the US, Canada, and Finland who are leading highly successful movements to end homelessness in their countries. Crisis is calling on all political parties to commit to ending homelessness. It is also calling for the governments of England, Scotland and Wales to produce an action plan that, once delivered, will get everybody who is homeless into a safe and stable home within 10 years. There are currently 236,000 people across England, Scotland, and Wales who are experiencing the worst forms of homelessness: this includes people living on the streets, in cars and tents, in shelters, or in unsuitable temporary accommodation. An average of three homeless people have died every week on UK streets since last October, recent research from the Bureau for Investigative Journalism revealed, showing the increasing dangers of homelessness. 100,500 social homes need to be built each year for the next 15 years to meet the needs of both homeless people and the wider cohort of people in Britain on low incomes – including those at risk of homelessness. A national rollout of Housing First would benefit more than 18,000 homeless people, by providing homes that come with a package of specialised support. In the 1990s and early 2000s, parts of Britain dramatically reduced rough sleeping – one of the most visible forms of homelessness. Parts of Scandinavia and North America have now virtually ended rough sleeping. Drawing on evidence of what works, the plan also sets out the policies needed to support people once they are housed. This includes better rights and longer tenancies for private renters, and reforming housing benefits so they meet the true cost of private renting. Ending homelessness will also require hospitals, prisons, the care system, and other parts of the state to play a role, the research finds. These organisations should be legally required to help prevent people leaving their care from becoming homeless. The plan also proposes that job centres have homelessness specialists. PwC has estimated the costs and benefits of the most targeted policies in the plan. They found that, over the next decade, these policies would cost £9.9 billion and deliver benefits worth £26.4 billion. This means that for every £1 invested, an estimated benefit of £2.70 would be generated. These estimates cover the costs and benefits of solutions specifically related to homelessness, but not wider reforms that target broader low-income groups (such as house-building and certain welfare reforms). While these benefits are significant, the moral argument for ending homelessness is equally important. Rough sleepers are 17 times more likely to be victims of violence, previous research from Crisis has shown. Crisis is encouraging the public to get involved by emailing their MP, MSP or Assembly Member and asking them to call on their party leader to commit to ending homelessness. Jon Sparkes, Chief Executive of Crisis, said “For the first time ever, we have a comprehensive plan that shows exactly how we can address the root causes of homelessness and make it a thing of the past. Other parts of the world are taking huge strides towards ending it, and Britain can too. We must not become a society that simply accepts homelessness as ‘a sad fact of life’, because the good news is that we know it doesn’t have to be this way. Rachelle, a Crisis client and a member of the charity’s Experts by Experience panel, which worked closely on the plan, said “I got involved in this plan because I really wanted to help shape change. It’s been powerful to share my own experience of homelessness and come up with ideas about how to make things better. No one should be experiencing homelessness in this country. I really believe that if everyone plays their part, then we can do this. “People’s perception of homelessness is often just people who are literally on the streets. But it’s something much wider than that. A hostel isn’t your home. Someone else’s sofa isn’t your home. When I became homeless, I ended up having to live in a hostel for almost a year. Crisis’ Experts by Experience panel is made up of people who are or have been homeless. Rachelle, aged 37, was homeless in Coventry in 2013. Is it possible to end homelessness? England: Between 1990 and 2006, two government initiatives had big successes with reducing rough sleeping. The Rough Sleepers Initiative ran 1990-1999 and rough sleeping in London fell by over 50% during its first two years. The Social Exclusion Unit, which succeeded and expanded on the initiative, cut rough sleeping by 68% across England in 1998-2002. Finland: Finland has virtually ended rough sleeping and dramatically reduced other forms of homelessness. In 2008, Finland introduced Housing First, a scheme that quickly provides homeless people with a stable home and then offers them support services. In the 1980s, rough sleeping in Finland hit a high of 4,700 people. Today there is just one 52-bed temporary shelter in Helsinki. Canada: Medicine Hat, a city in Alberta, announced in November 2015 that it had ended chronic homelessness. Like Finland, the town achieved this thanks to Housing First, which has also been adopted across Canada and in parts of the US. 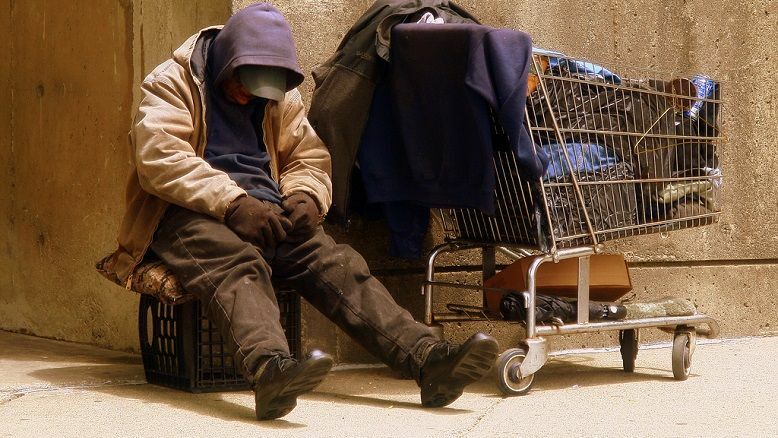 Scotland: Scotland has cut rough sleeping by over 70% since 2003, after passing a law to gradually end the “priority need” system, under which only some homeless people are legally entitled to accommodation (single adults without children are typically not considered “priority need.”) Priority need was fully abolished in 2012, but the increase in who is eligible for support has caused a rise in people put in temporary accommodation – Crisis and others are campaigning for a seven-day limit on stays in unsuitable temporary accommodation. In England and Wales, priority need tests are still carried out.